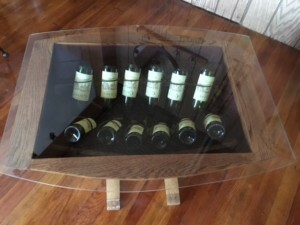 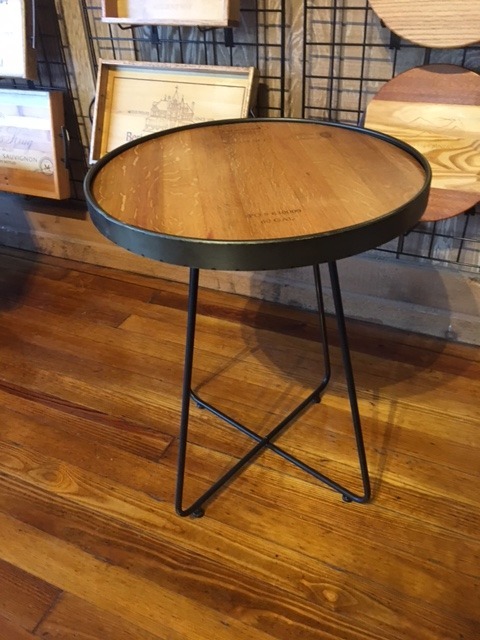 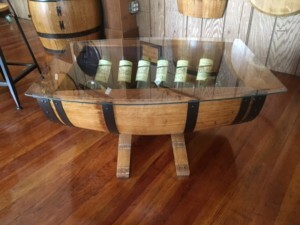 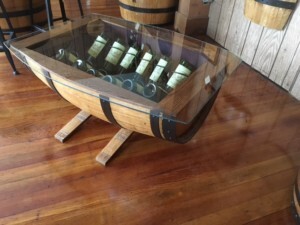 This glass top coffee table created from half of a wine barrel. 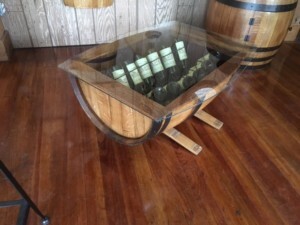 Wine racks not included. 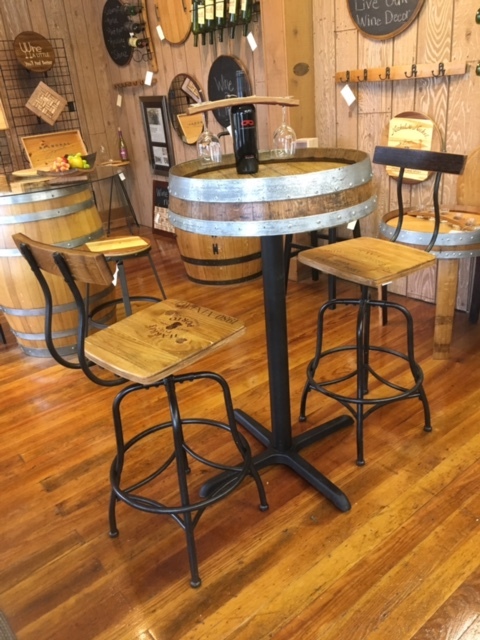 This table with wine racks is listed as a separate product. 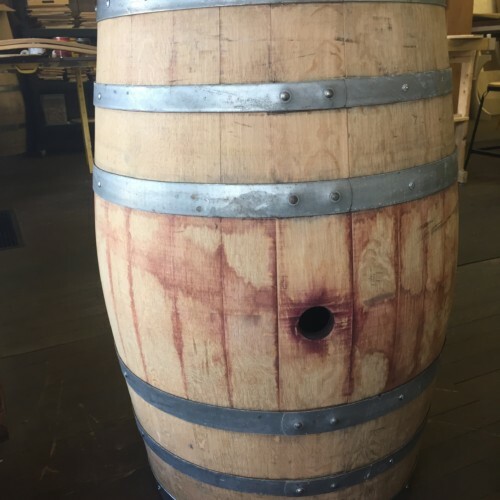 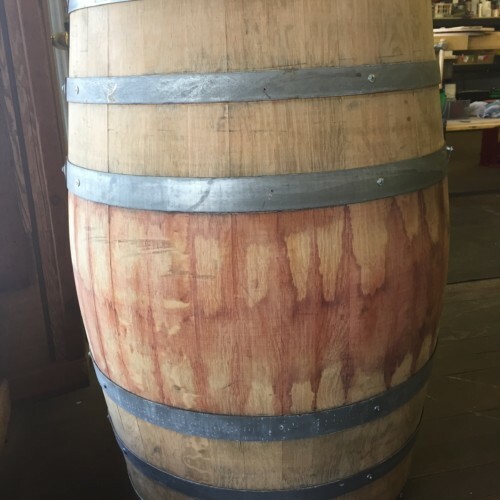 The red wine stained inside of the barrel allows you to fill the bottom of the barrel table with your favorite corks or other collectables. 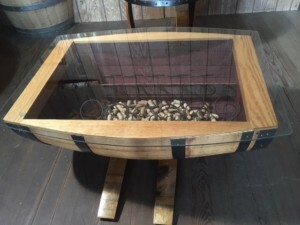 The barrel table sits on 2 barrel stave legs.